We are committed to offering high-quality remote support services for all of your Microsoft Windows or Apple Mac machines. Get the professional help you need without ever leaving your home or office. With COR Solutions, we offer remote support services for a fixed fee of £60. With one easy-to-use secure download, your laptop, PC or Mac will be up and running and working like new again. 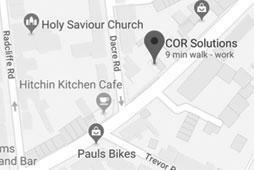 Let COR Solutions come to YOU!